Of all the machines in the earthmoving world, bulldozers, particularly large ones may have the greatest variation when it comes to owning and operating costs. Steady maintenance is key factor to keep the dozers in optimum condition irrespective of the age of the equipment, geographical and weather conditions. Age is the most important thing which acts upon the performance of a dozer. If you have purchased a used dozer, you have to take extra care. As a used dozer has undergone wear and tear for many years, its level of performance automatically comes down. Proper care of the undercarriage can significantly minimize maintenance costs, increase uptime and impact the longevity of the dozer. You may have faced problems with the performance of your old dozer many times and at the same time, you cannot stop using this construction equipment as it plays a major role in a construction site. So, why not spend some time in maintaining your dozer properly. Checkups for steady repair - Regular checkups of the dozer are essential to ensure a good working condition. You should change the oil and other fluids in a systematic interval. If you keep your dozer in extremely wet climatic condition, it will damage more quickly. It is because rust will form rapidly on the important parts of the machine. In case of used dozers, the chains, bolts and the undercarriage should be checked to detect the damaged parts. Cleaning of the track frame – To work in muddy conditions especially in winter freezes the mud on the track frame of the dozer. Therefore, you cannot ignore cleaning off the mud while the equipment is still warm. Use a track spade which perfectly fits into the gap between the track and the frame making the work of cleaning smoother for you. After cleaning, park the dozer either in the snow or on aged tires. Maintenance of Electrical system – Proper maintenance of electrical system which consists of batteries and wires should not be overlooked. Their periodical checkup is necessary to avoid short circuit. Replace the damage or old battery instantly once you detect them. Your wire should be good enough with an efficient fuse system. Used Construction Equipment can be easily acquired by connecting with Shriram Automall India Limited (SAMIL), the leader in the industry of pre-owned vehicles. 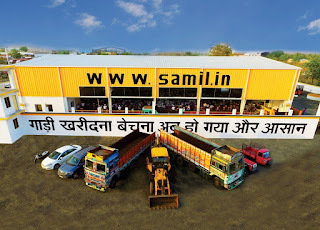 SAMIL provides customers with wide range of used construction equipment and commercial & non-commercial vehicles. Online bidding along with physical bidding options are available from where customers can easily purchase their desired pre-owned vehicles. Here are some of the common traffic violation rules, breaking them will attract heavy fines. Exclusively brought to you by Shriram Automall – India’s Largest Service Provider for Exchange of Used Vehicles & Equipment. Having a car of one’s own choice is a dream of many but before owning the car, you must know what lies in store for you. Maintaining a car is far more difficult than it is looked upon as. From regular servicing to regularly conducting specific checks of different parts of car, a car requires your complete attention. If you don’t care for your car, it might not work right in future. As you spend significant amount it is essential to take care of it and one of the ways for this is to manage to get a better fuel economy. It is important to save fuel so that the car performs better and also a lot of your money is saved. Don't worry any further; here is an auto guide for car owners on how to save fuel and get better fuel economy. Irrespective of petrol or diesel cars, this guide will be of great help. People can save a lot of money and it will help in keeping the environment pollution-free as well. Do not run engine idle for long – Stop running your engine idly for a long period so that you don’t burn the excessive fuel. If you are stuck in traffic or waiting for someone, just switch off your engine. A lot of fuel will be saved and you can drive for many more kilometers without spending any more money. Engine Tuning – Always keep your engine tuned up and keep it in better condition so that you don’t have to shed a large sum of money when problem comes up later. It is important to keep the engine in a better condition. Never ignore the regular check-ups and maintenance. The air filter should be dirt free & never hesitate to replace the dirty air filter to avoid damaging the engine. 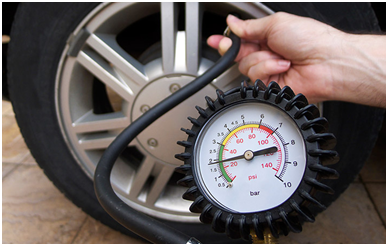 Tire Pressure – You must ensure that the pressure level of the tire regularly. Check that if the pressure level is up to desired level or not because less or more pressure will only use extra fuel and engine will not give the best performance. Always check the air pressure to keep a check on fuel consumption. Do not carry over weight – If you are going for a long journey ensure that you give the utmost attention to the point that you should avoid carrying excessive weight with yourself. A car that is loaded with unnecessary weight consumes more fuel & has the negative impact on the mileage. Less use of Air Conditioner – Everybody knows this fact but doesn’t follow, that keeping the air conditioner switched on for a long time leads to more fuel consumption. One should constantly monitor and keep the ac off after the sufficient cooling has been done. Drive carefully and consciously – Don't develop any habits of sudden acceleration, heavy or hard braking. Brakes should be used appropriately and one should drive smoothly & efficiently. This will help to keep the brakes pad in the healthy state. These tips will definitely help you to save a lot of fuel and money. This auto guide will prove to be very helpful and handy. You can own a used car and save a lot of money. Connect with Shriram Automall India Limited and acquire a used car that is economical and will prove to be very useful. Acquisition and disposal of used cars, commercial vehicles and equipment is very simple, quick and convenient process. When you think about buying and selling your used vehicle or equipment you think about Shriram Automall and that is the change that the company has been able to bring in the industry and society within a span of just 5 years. Connectivity along with complete trust is what the company has been able to serve through its 60+ well structured Automalls covering the entire country. 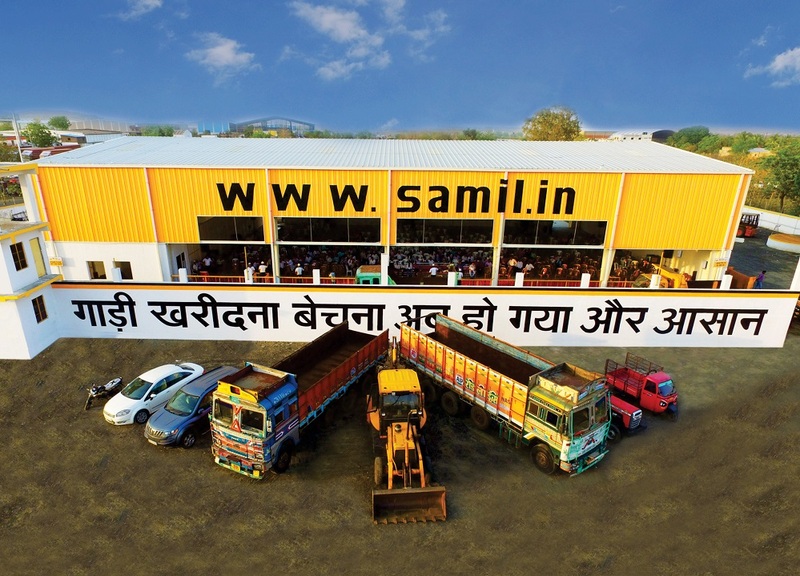 Whether you are looking to buy or sell a used truck, construction equipment, car, tractor, two-wheeler or a three-wheeler, SAMIL has become the only place where customers like to visit to inspect from a wide range of inventory. Hundreds of vehicles are sourced for every single event to select and bid upon. 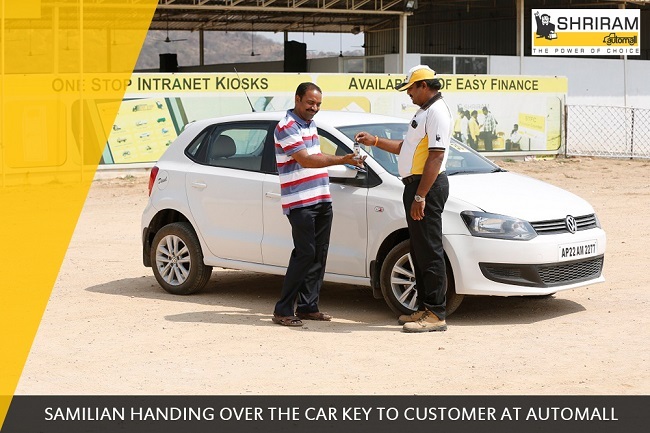 Customers feel happy to come and interact with the team to take idea on which vehicle to choose as per their business requirement. 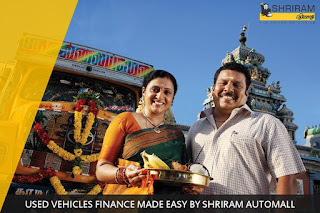 Many people got their lives transformed after connecting with Shriram Automall India Limited, and succeeded in their businesses. 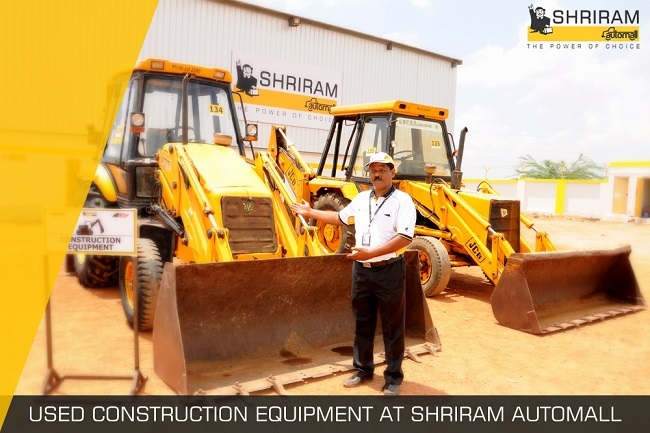 In order to make dealings more efficient, Shriram Automall ensured to instigate these ground-breaking solutions of easy facilitation of Disposal and Acquisition of vehicles and Equipment. One of the customer that has been associated with Shriram Automall since a long time shared his experience of how stepped up the ladder of success after coming into the contact with the company. “We are exceptionally happy with our decision to enter a tie up with Shriram Automall. Now we are in a comfortable position in parking and disposing of used vehicles in a very orderly manner. Shriram Automall is playing a perfect role in organizing the used vehicle market in the country. With SAMIL’s professional services we are able to get a very reasonable price for our vehicles within a short time in a hassle free manner”, said one of our esteemed clients in the baking & financial sector. What if you want to own a second hand vehicle but don’t have enough money, so what are your options? Simple you look out for various vehicle finance companies for your vehicle, but do you have sufficient information about second hand vehicle loans and finance? It is always recommended to polish your skills on used weapons and then go for the new ones – the saying is finding an apt application in vehicle segment of India today. Most of new drivers prefer to opt for pre-owned vehicles before investing huge money in new one. Though, acquiring financial help for used vehicles is nothing less than headache at present. There are 2 factors that play a vital role in pre-owned vehicle loans and they are vehicles age & the model. In India, people availing pre-owned vehicle financing options have to pay 3% more than the amount they are required to pay for latest vehicles. And, lastly, there is more chance that you may not get the complete value of the vehicle as loan. As per norms, used vehicle loan is granted only when age of the vehicle and loan’s tenure do not go beyond 7 years in combined manner. Thus, if you are planning to get loan for 5 years, the age of your vehicle should not exceed two years in any condition. If you need a loan for 3 years, than the age must not exceed 4 years and the same is applicable for lesser years. Today you have enormous options available in market for you to choose from among the second-hand vehicles. And along with the vehicle many options of organised service providers are also available. These service providers source the vehicles, & put them up for sale. Moreover most of the banks & NBFCs are at ease while financing a vehicle through an organised service provider because of the due vehicleeful checks done by them, which reduces the financiers' risk. What we suggest you today is to connect with Shriram Automall, which solves both of your problem. Shriram Automall India Limited is the leading service provider in used vehicle industry and provides services from Parking to disposal, from acquisition to finance and Insurance Services. 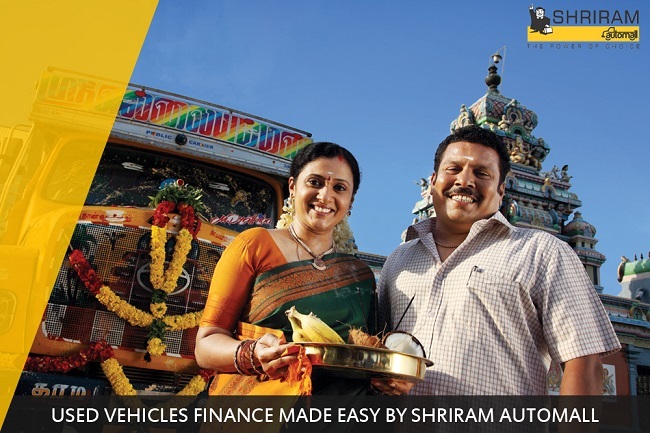 Being a wholly subsidiary of Shriram Transport Finance Company, Shriram Automall also provides assistance in getting instant loan from STFC on used vehicles & other equipment. Having a large inventory of Used Vehicles and equipment, Shriram Automall provide customers with nothing but the best through its unique and Transparent mode of dealings i.e. Bidding Events. Owning an automobile is considered as a sign of luxury, however today we see a number of vehicles coming at a low price which is making owning a vehicle easy with availability of Auto finance options. A common man always looks out to a number of options while buying a vehicle of his choice. Today visiting a dealer to check about any vehicle has become less and it has been taken over by the online portfolio available at easy disposal of customer. Today buying a vehicle do not require you physically going to every showroom to make your choice. You can now sit in the comfort of your home and explore through multiple options that fit in your budget and requirement. After which you can go to one or two specific dealership to check the vehicle physically and make your decision. A lot of people today also consider buying a used vehicle as their first vehicle. The ration between new & used which is 1:2 itself is a proof that people today are more inclined towards buying a used vehicle. Explaining the ratio means that there are two used vehicle sold on the sale of one new vehicle. For buying the used vehicle of your choice a customer have a wide range of options to explore. 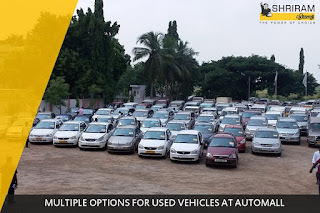 Coming up of organized players like Shriram Automall in the used vehicle domain has made the task of buying used vehicles easy, the company offers widest range of used vehicles & equipment under one roof. You can also avail the facility of finance along with other professional allied services like refurbishment, parking & documentation etc. under the same roof. So today the common man does not only have the option of new vehicle, he also considers the options in used vehicle market t fulfill his requirement. After a 14 month growth streak the passenger vehicle industry is gearing up for a firm festive season after recording a 16% gain over last year same month. There is a strong customer sentiment and it is expected to hit top this festive season as it posed a handsome growth in August. Other key segments posted double digit growth in August. According to data released by the Society of Indian Automobile Manufacturers (Siam), passenger vehicle sales in August stood at 258,722 units against 221,743 units sold in the same month last year. This festive season the demand for all segments is all set to post a strong growth due to a number of positive reasons like decent monsoon, implementation of 7th pay commission for all government employees. Also the launch of new & improved models also gave the boost to the demand as we see months of waiting period for models like the Creta, Suzuki Baleno & Brezza. In the two wheeler segment all the top three two wheeler companies - Hero MotoCorp, Honda Motorcycle and Scooter India and TVS Motor - reported double digit growth in volumes. Meanwhile in the used vehicles & equipment segment major players like Shriram Automall are witnessing good demand for all segments. Customers are coming in good number to take advantage of this rising expenditure of the people. Moreover to buy used vehicles & equipment of your choice you can visit Shriram Automall, the company offers multiple options of used assets under one roof. If you are driving with tires that are properly inflated, you will surely get the best mileage for your car along with better tire durability. Check your tires with a tire pressure gauge once a week, preferably in the morning to get the best result as the car remains stationary in night. By checking tire pressure regularly, you can make sure your tires are properly inflated across all the seasons ultimately maximizing their usage. Fast start, sudden breaks and turns can lead to wearing of tires. By following proper traffic rules and having right driving habits surely benefits the driver. Also try to avoid road hazards like potholes and debris in the road and save them from wearing off. This is different from tire balance. Tire alignment ensures that your tires remain perpendicular to the ground and parallel to one another. Misaligned wheels can greatly reduce the life of your tires. Tires should be rotated every 6,000-8,000 miles, so it’s easiest to remember to rotate them every other oil change. The reason we do this is be because front tires wear faster by moving them to the back, you prolong their life. Having properly balanced tires reduces vibration when driving. This vibration can increase wear within your tire components. So from now on, keep these tips in your mind to make tires last longer. These simple tips do not require much of your time or money, but can prove to be very useful for having a good driving experience. Meanwhile you can visit your nearest Shriram Automall to get your vehicles tires repaired or replaced. Also you can acquire used commercial vehicles and get best deals on used trucks, cars and other vehicles. 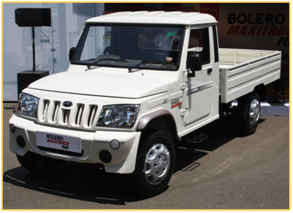 Used Cars & SUV’s, two-wheelers, three-wheelers, construction & agricultural equipment are also available within the company. Unique Physical and Online bidding platforms and other allied services attract customers from all over the country. 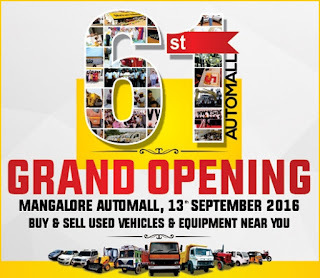 Shriram Automall India Limited (SAMIL) India’s leading service provider for exchange of used vehicles & equipment will be inaugurating its 61st Automall in Mangalore, Karnataka on 13th September 2016.The Automall will be SAMIL’s 7th facility in the state and will aim to satisfy the demand of pre-owned vehicles and equipment through an organized medium. The Automall is located at the National Highway 66 and spread over a sprawling 5.5 acres of land. People from all across the Mangalore and nearby locations like Udupi, Kasaragod & Dharamsthala can come to the Automall and participate in our bidding events. 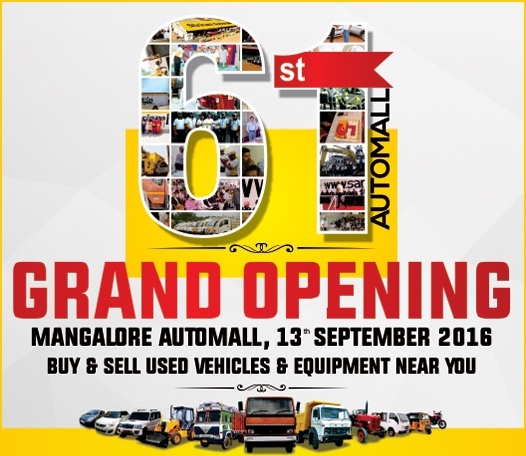 Karnataka is a state that receives major demand of pre-owned vehicles and equipment and Shriram Automall through its constant efforts aims to satisfy the ever growing demand by inaugurating more Automalls in the state. You are invited to be a part of the grand inauguration ceremony on 13th September 2016, 10:00 am onwards. Take part in our most exciting bidding event and buy the used vehicle you desire in the most transparent and organized manner. Shriram Automall India Limited (SAMIL) is India’s leading service provider for exchange of used vehicles & equipment, which provides our customers with four unique platforms for acquisition as well as disposal of the pre-owned assets. Shriram Automall has wide variety of commercial and non commercial used vehicles and customers can own their desired vehicle through SAMIL’s multiple bidding platforms. 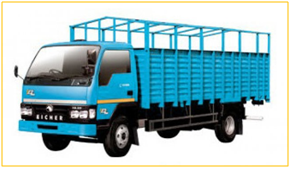 To acquire second-hand trucks, you can connect with Shriram Automall India Limited. SAMIL’s provide hassle free services to its customers with its physical & online bidding platforms. Best price realization, quick deals & payment collection and other such services are exclusive to SAMIL. Acquiring a pre-owned vehicle made easy by SAMIL. If you can’t purchase a new car due to shortage of funds, don’t worry, just connect with Shriram Automall India Limited (SAMIL). SAMIL provides a wide range of used vehicles and equipment. You can own the car of your choice easily by accessing SAMIL’s online as well as physical bidding platforms and get the best deals. 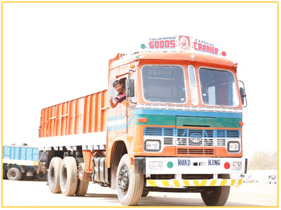 Finance services from SAMIL in association with Shriram Transport Finance Company (STFC) makes acquiring used vehicle very convenient and safe. After two years of sluggish sales number the tractor industry is all set for a Mid-Teen growth this fiscal. Industry pundits are sure that the tractor market will clock one of the highest growth percentages this year. Q1 of 2016 has already shown great impact and made the segment among the top growth driven sectors in the auto industry. At a peak number of 15% the tractor growth this year is even higher than those of passenger & commercial vehicles. Important factor that lead to the growth was a good and stable monsoon all across the country even traditionalists are now expecting the fiscal figures at anywhere between 12-15%. Experts are also expecting a good festive season as the harvest of crop is yet to happen and cash inflow will increase only then. Although a major concerning factor remains the floods in North & East India once they are subside only then the sentiment can be measured properly. 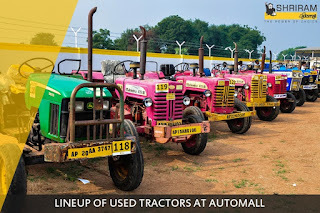 Meanwhile the sales of used tractors also saw good increase with large players like Shriram Automall receiving good demand for used tractor overall during the monsoon season. Meanwhile if you are looking to buy pre-owned tractors than Shriram Automall is the place to be. The company offers widest range of used tractors of all make and models for all your farm land requirements. 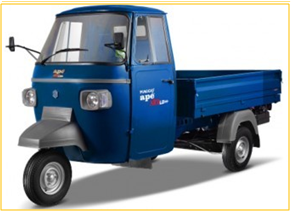 Customers can also avail the facility of easy finance on the tractor they buy from the Automall through STFC. This is undoubtedly the most important step that has to be taken, while you plan to go for acquiring the pre-owned car. Don't be excited to simply work out which pre-owned model you can afford. Instead, make sure to consider all the aspects such as safety ratings & insurance brackets, as well as the running cost like fuel usage. There are three critical numbers to check while you are buying a used car & these are the Vehicle Identification Number (VIN), the registration number and the engine number. VIN is a 17-digit alpha-numeric code on a plate of metal which is situated inside the engine bay. You must look for all three of these in order to make sure they haven’t been tampered with & so you can confirm they are of the same details that have been listed on the registration papers that you’ll be provided with. If they don’t match up, then the car you’re looking at could be stolen as the info is not valid. Get the complete value of the vehicle that you are planning to purchase from the used car market. Adjust your evaluation a little up for these vehicles that have the average condition and less travelled. You may evaluate the value for the car that you are willing to buy through various internet tools by feeding the basic details. Along with that you may take help of Shriram Automalls valuation service to find out the tentative cost of the car that you are willing to buy. It’s natural to be inclined towards the dealership that is providing you high value for your used vehicle and definitely you want to go to it for the exchange. But you need to look at the difference between the trade in value and the value of other car consciously so that you don’t end up falling in the trap. So if you want to avoid the frauds and traps, it’s better to deal with a recognized and well established Service Provider. Shriram Automall is one such avenue for all the people out there who want acquire used cars or any other used vehicle & equipment. Shriram Automall offers you with wide array of used vehicles along with unique platforms to provide transparency in every transaction. Their process is certified by ISO standards and the company has been recognized widely by industry honchos for its professional services. 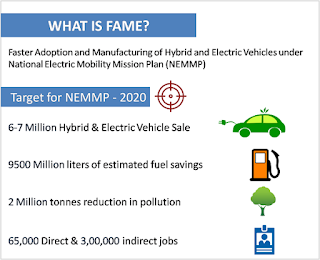 Society of Indian Automobile Industry at its 56th annual convention demanded an extension for the FAME scheme in the leftover cities of the country with an aim to push the demand for electric & hybrid vehicles collectively. Government launched the FAME scheme in 2015 and since then over 80,000 electric and hybrid vehicles have been sold till now. The aim of the scheme was to offer incentives of up to Rs. 29,000 for bikes and Rs 1.38 lakh for cars to the customers who are willing to buy an electric or a hybrid car or scooter. The convention also urged a clear roadmap on emissions, safety and fuel efficiency regulations that can provide us a clear direction for 5-10 years. Meanwhile the demand for both used and new vehicles with CNG engine as a first preference has been on an increasing side thanks to the implementation of various government checks to control rising pollution. Taking off vehicles of over 15 years on road has also triggered positive outlook in the industry, however the government is still in discussion mode on the kind of incentive to be offered for getting the vehicle scrapped. This will also create a good demand for new vehicles and ultimately lead to reduction in emission rate. The government is also considering a financial incentive of up to Rs 1.5 lakh on surrender of vehicles that are over 10 years old to check pollution and address safety concerns. Small vehicles will be offered an incentive of up to Rs 30,000 for those surrendering small vehicles while trucks could be in for total benefits worth Rs 1.5 lakh. While the policy will take some time to get fully implemented meanwhile sell your used vehicles at Shriram Automall anywhere in India. The company follows an easy process to buy or sell used vehicles in India through their transparent bidding platforms.